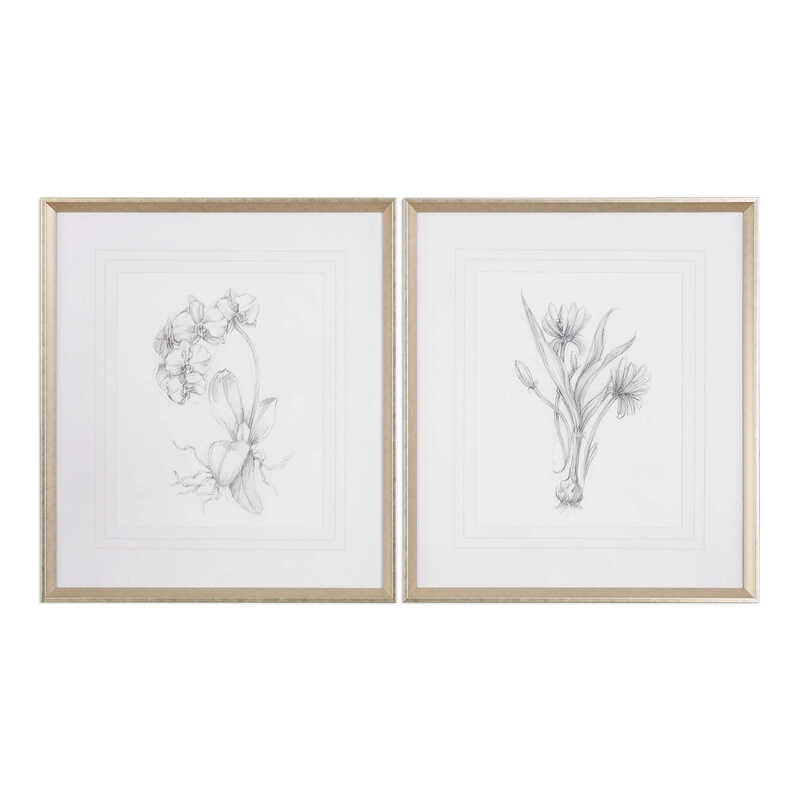 Minimalist in design, these simple floral sketches work seamlessly with a variety of styles. 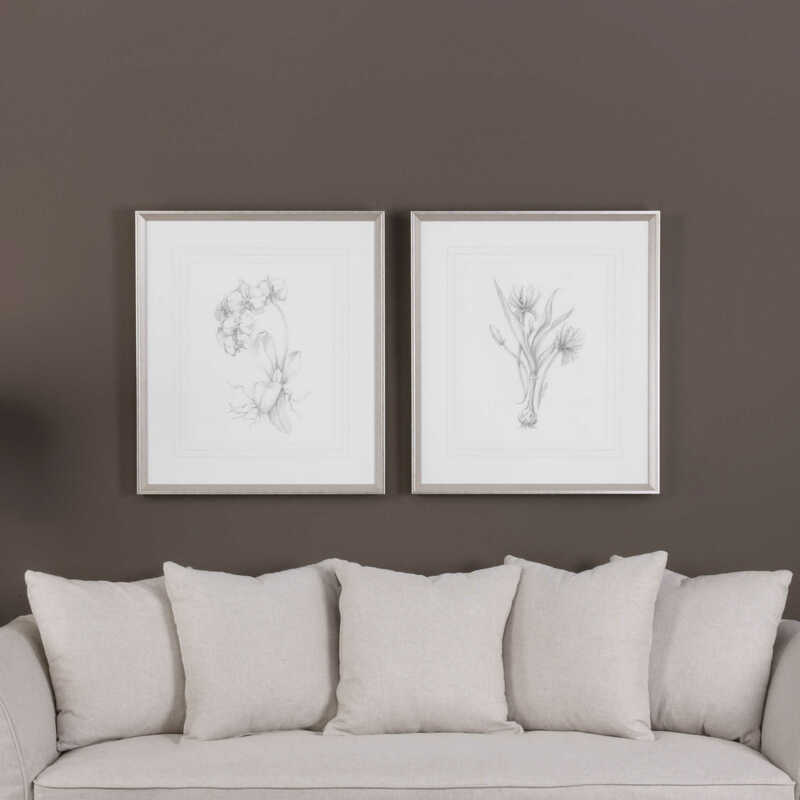 Each sketch is surrounded by white mats with elegant, double v-groove accents. The frames are silver leaf over a taupe wash. Each print is placed under protective glass.